Opposition party Mizo National Front (MNF), in its election manifesto, has promised that it would take initiative of updating National Register of Citizens (NRC) in the State on the lines of the NRC update process, which is going on in Assam, if it is voted to power in the ensuing State Assembly polls. The Mizoram State Assembly poll has been scheduled to be held on November 28, 2018. This was stated in a report published on Saturday by The Economic Times. 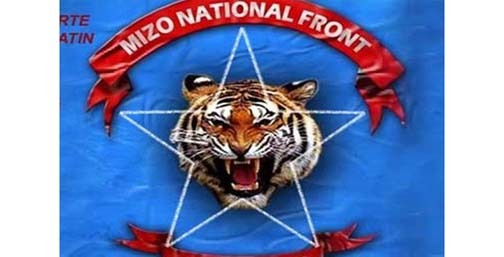 Mizo National Front (MNF) is a member of North East Democratic Alliance (NEDA), which is a forum formed with non-Congress parties led by the Bharatiya Janata Party (BJP). The report also stated that the promise from the Mizo National Front comes in the wake of some non-governmental organisations in Mizoram demanding an NRC to detect illegal immigrants after the final draft of the NRC was published on July 30, 2018. The NRC update process in Assam is going under the direct monitoring of the Supreme Court. However, the NRC authority has faced criticism after names of 40 lakh people were left out from the final draft NRC. In its election, manifesto, the MNF said it would initiate a village-level register for the “purpose of determining genuine citizens and detecting illegal immigrants”, said the report. It may be mentioned that Assam Chief Minister Sarbananda Sonowal also suggested during a seminar on NRC in New Delhi that the NRC update process be taken in other States of India on the line in Assam in order to detect, detain and deport illegal migrants.